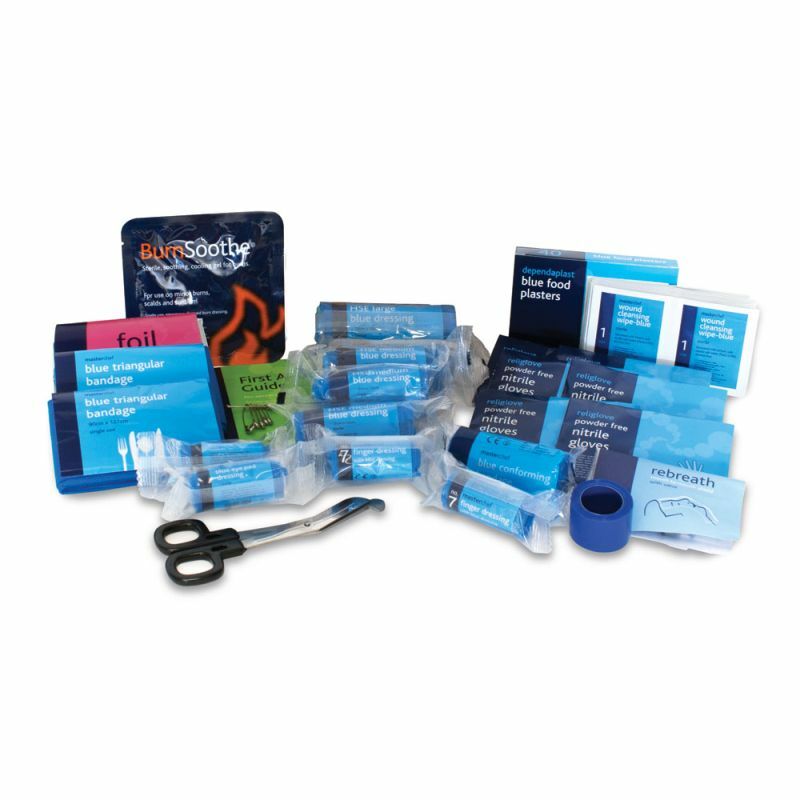 It is important to make sure that your first aid kits are up to date and fully stocked when working in catering environments to ensure quick action is taken in the event of an accident. 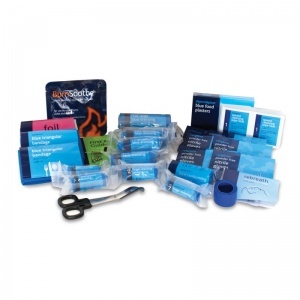 The Catering First Aid Kit Refill Materials will supply you with an immediate refreshment of your original first aid kit when stocks are low. Every employer is obligated to have a mandatory backup stock of Health and Safety Executive (HSE) first aid materials. 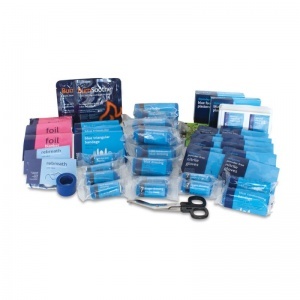 These refills, packed with the blue dressings and plasters as required by the Food Safety Act (1990), can be used with whichever style container previously purchased to suit your needs. 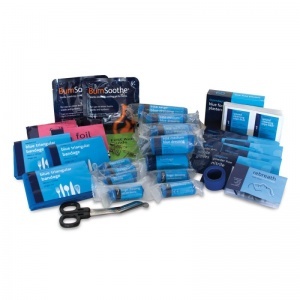 The Catering First Aid Kit Refill Materials are usually dispatched via First Class Royal Mail and delivery should be within 1 to 3 working days.